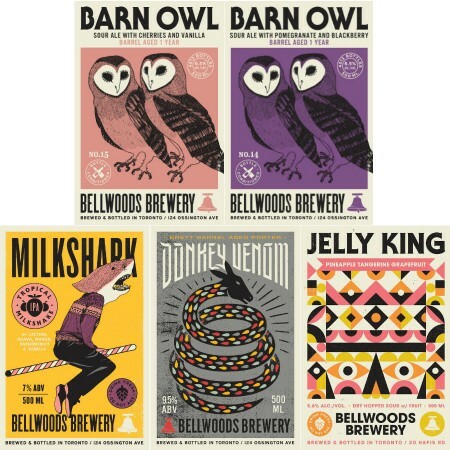 TORONTO, ON – Bellwoods Brewery has announced details for the 2nd annual edition of its Witchstock beer festival, as well as a list of new and returning beers planned for August release. 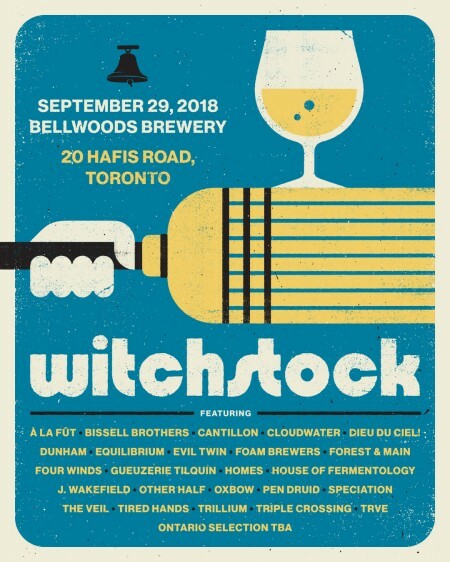 Taking place on Saturday September 29th at the brewery’s 20 Hafis Road location in north Toronto, Witchstock 2018 will feature beer from Bellwoods and a selection of guest breweries from Ontario and around the world, including Cantillon, Dunham, Evil Twin, Four Winds, Oxbow, Other Half, and many more. Tickets for this year’s event will be available online on Tuesday August 7th at 10:00 AM, and will cost $120 which includes admission and unlimited beer samples. Food will also be available to purchase from a variety of trucks and vendors. For more details, see the Witchstock webpage. Bottles of the listed beers will be available on the noted dates in both Bellwoods retail shops, with purchase limits and prices TBC. For more details, watch the Bellwoods Brewery Instagram feed.